A study conducted by NASA back in 1989 is even more relevant today considering the increase in pollution levels in the air. Back then, NASA, in association with the Associated Landscape Contractors in America conducted a clean air study in an effort to find out the most effective Air Purifying Indoor Plants that helped to decrease the levels of toxic chemicals found in the air. Their results have stood the test of time, and more studies have found to prove the credibility of this one. These plants are easy for anyone to grow. Even for people with a crushy routine of home and office. Houseplants are awesome indoor air cleaners, but some of them are more effective than others at filtering out pollutants and toxic chemicals in the air. 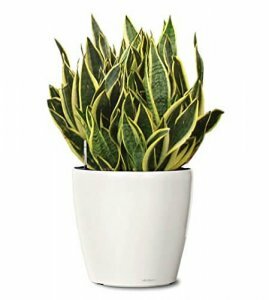 The list below highlights the best air purifying indoor plants, which work really well for removing harmful gases found in home. This South African perennial, the Gerbera Daisy was included in the early NASA studies (Biohome feasibility) and is extremely effective in removing chemical vapors such as benzene from the air. Benzene exposure has been linked to leukemia, and the chemical can enter your home from vehicle exhaust and fumes from glues, solvents, paints and art supplies. 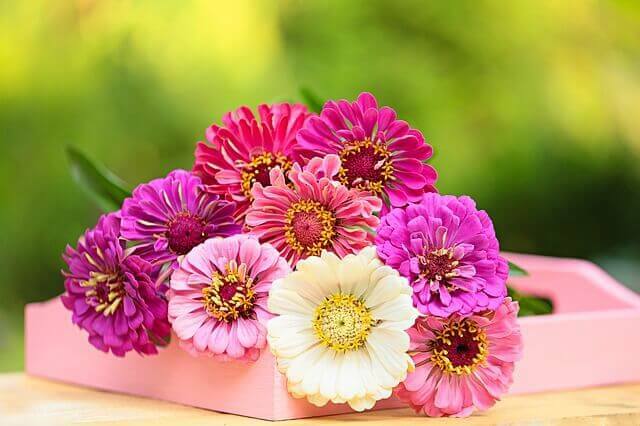 Gerberas like well-drained soil, so make sure your pots have ample drainage holes. Mist leaves a couple of times a week and makes sure plants get at least six hours of direct sunlight every day. Brightly colored cut blooms can last as long as two weeks on a sunny window. 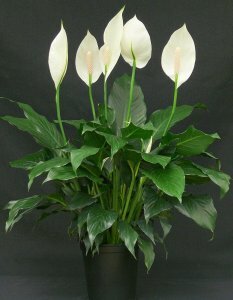 One of the few flowering plants houseplants that will bloom indoors, the Peace Lily with its seashell-shaped spathes are a classic addition to an otherwise dreary wintry corner. One of the best plants for removing formaldehyde and benzene. It also prefers low-light conditions and has a high transpiration rate that will humidify your air. The leaves can be poisonous for children and pets so; you might want to be careful if you’ve got babies around the house. 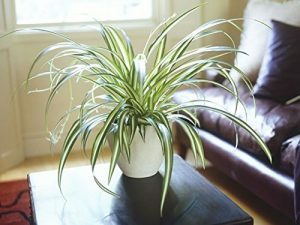 Another lovely indoor plant that looks great and works great in removing VOCs.Spider plants are among the easiest houseplants to grow, making them a great choice for beginners or forgetful owners. It’s A fan of bright, indirect sunlight; spider plants will send out shoots with flowers that eventually grow into baby spider plants or spiderettes. 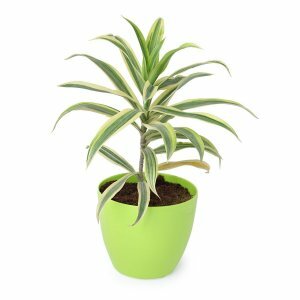 There are more than 40 different kinds of Dracaena plants, making it easy to find one that’s a perfect fit for your home or office. They’re common foliage plants with long, wide leaves that are often variegated with lines of white, cream, or red. Pet owners might want to select a different plant, however, as these are toxic to cats and dogs. This humble houseplant is a multi-tasker. Its broad spiky leaves are easy to clean, and they also absorb carbon dioxide and release oxygen at night (the opposite of the process most plants follow). Chinese bamboo or lucky bamboo is not really a bamboo. It is, in fact, a Dracaena and a great fit for dim rooms. 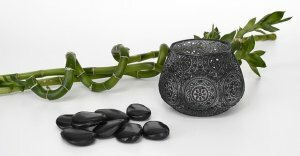 Don’t just, however, pick the first bamboo plant you find, but instead, look for a healthy one. You can find Lucky Bamboo plants at your local garden center or nursery, and sometimes grocery stores too. A superstar filtering formaldehyde, these palms thrive in full sun or bright light. Part of the reason they can filter so much air is that they can grow to be pretty big—as tall as 4 to 12 feet high, making them exciting (and pet-friendly) indoor additions. "5 EASY STEPS TO GROW AN ENCHANTED INDOOR MOSS GARDEN"
These ferns remove quite a lot of formaldehyde pretty more than any other plant. They’re also highly efficient at removing other indoor air pollutants, such as benzene and xylene—components of gasoline exhaust that can migrate indoors if you live in a crowded city. They can, however, be a little finicky. So, depending on the humidity and moisture levels in your home, you may need to water them or mist their leaves daily. These plants prefer to clean the air from a cool location with high humidity and indirect light. They’re relatively easy to grow, but they do need to stay moist. Check the Boston Fern’s soil daily to see if it needs water, and give it a good soak once per month. 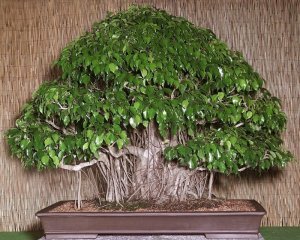 Though the ficus/weeping fig is a tree in its native home of Southeast Asia, when it grows indoors, it’s a hardy plant that ends up being between two and 10 feet tall. So why not get figgy with it? This is a low-maintenance houseplant once you get it’s watering and light conditions right. 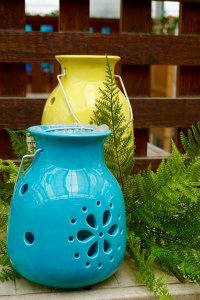 Give it some bright, indirect light and allow the soil to dry out between waterings. Although this plant has some serious air-cleaning abilities, it can also be taken outside in late spring and brought back indoors when temperatures are warm. 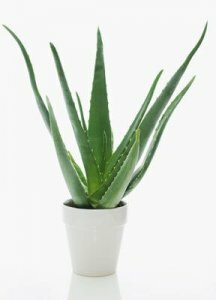 In addition to being easy to care for, aloe makes some serious health claims. Aloe vera juice is pretty much a jack of all trades: it’s good for burns and many skin conditions; it works as hair conditioner, styling gel, or for a doing your non-toxic blow-out. The plant’s leaves contain a clear liquid full of vitamins, enzymes, amino acids, and other compounds that have wound-healing, antibacterial, and anti-inflammatory properties. Water when the soil is dry. You can trim the tendrils when the plant gets too big. All parts of this plant are poisonous if ingested. 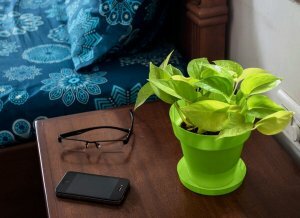 NASA research suggests having at least one plant per 100 square feet of a home or office space. Their Clean Air study found these are effective at removing benzene, formaldehyde, and trichloroethylene, xylene, and ammonia from the air—chemicals that have been linked to health effects like headaches and eye irritation. It’s also a good idea to know how many new plants you want (or can fit in your room), and prep a few pots in advance. Check out these houseplants and propagate your favorite ones. Very useful piece of information .